Thank you for visiting our website. 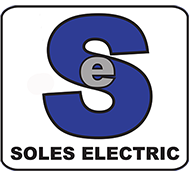 Soles Electric Company has a long tradition of excellent customer service and high quality workmanship in the Electric Motor Repair, Pump Repair, and Equipment Rebuild Industry. We hope that by exploring our website you will gain a general understanding of our capabilities and a clear representation of our dedication to customer satisfaction. If you have a question about the services we may provide, or would like to discuss your needs with us, please contact us at our main number, and allow us to direct you. We pride ourselves on maintaining a 24/7/365 operation and will make your request a priority. Thank you for your interest in our company. We look forward to working with you to help you achieve your company’s success. Soles Electric Company was established in 1969 to serve the electric motor repair industry. We have established ourselves as one of the leading electric repair facilities East of the Mississippi, and pride ourselves on our ability to problem solve unique issues, work with customers to exceed expectations, and draw on our employees’ extensive knowledge and capabilities to accomplish company goals. We are dedicated to our employees and our customers and use that commitment to drive success. Our company is focused on growth. We continually adapt to service new industries. If you have a need, we will work with you to find a solution. We have diversified since 1969 to include industries such as Steel, Aluminum, Oil and Gas, Manufacturing, Hospitals, Large Campuses, Government, Public Service Districts, Amusement Parks, and Coal, among others.